People get facials for different reasons: While some people want to remove those horrible blackheads, others want some help with an anti-again regimen. And, then there are the people who just want to relax and be pampered. These are all fine reasons to get facials. But often the facial itself is a bit mysterious. What does the steam do? Why do they keep putting creams on and taking them off? Why get facials regularly? A facial is essentially a multi-step skin treatment that is one of the best ways to take care of your skin. A facial cleanses, exfoliates, and nourishes the skin, promoting a clear, well-hydrated complexion and can help your skin look younger. You also receive advice on the best way to take care of your skin. 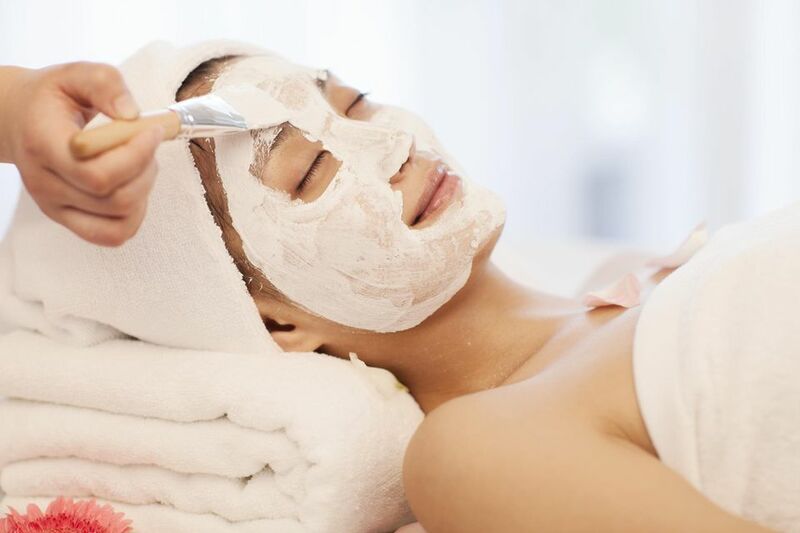 A facial works best when it is part of an on-going program of skin care. It is best to find an experienced, knowledgeable licensed esthetician who has special training in skin care and is knowledgeable, fastidious, and passionate about their work. Legally, a cosmetologist is allowed to give facials, but their primary training is in hair, so they might not be the best choice. There is also a trend toward dual-licensed therapists, where the person is licensed to give both massage and facials. Be on the lookout for this in a resort setting, especially if you'd rather go to someone who only specializes in facials. A facial is the second most popular spa treatment after a massage. A facial should begin with a consultation. You might fill out a form with questions about your skin concerns, your diet, how much water you drink, which drugs and supplements you take, and products you are currently using. Retin-A and other drugs can affect your skin and what kind of treatments the esthetician recommends. More commonly, the esthetician will simply ask about your skin concerns and if you are using Retin-A. Usually, the esthetician offers a wrap that goes around your body and underneath your arms, then closes with velcro. She leaves the room so you can put it on in privacy. Some people remove all their clothes before putting on the wrap, some leave their pants on, and some even leave their bra on and put the straps underneath their arms. At some spas, you are invited to take off some or all of your clothes and get between the sheets. The esthetician will let you know the protocol where you are. Usually, the esthetician starts by wrapping your hair with a towel or headband to keep products off of it. The first step is thorough cleansing, using cotton pads, esthetician wipes or sponges. Most professional facials do a double-cleanse. Depending on whether you have makeup on, the esthetician might look at your skin under a bright lamp first, or covers your eyes and looks at your skin through a brightly lit magnifying lamp. She is determining your basic skin type (dry, oily, combination, sensitive or normal) and skin conditions (acne, blackheads, whiteheads, aging, sun-damage, dehydration, etc.). The esthetician then chooses the appropriate products and treatments and consults with you about what he or she sees and recommends. Most facials use a machine that directs a thin vapor of warm steam to your face. This is relaxing and helps softens up any blackheads and whiteheads to be extracted. If you have very sensitive skin, the esthetician may not use steam. Exfoliating the skin uses mechanical or chemical substances. Mechanical exfoliants have a gritty texture that rubs away the surface dead skin cells. This type of exfoliation usually happens during the steam. Chemical exfoliation uses enzymes and acids to loosen the bond between skin cells. A gentle enzyme treatment can be done during the steam. Stronger chemical peels, which vary in intensity, can be a stand-alone treatment or part of the facial. It is not generally an "upgrade" and done in a series. This is the removal of blackheads or whiteheads if you want it and need it. People have different pain tolerance for extractions. They can be uncomfortable, especially on thin or ruddy skin. Extractions can cause broken capillaries and discoloration if done improperly. Facial massage using classic strokes like effleurage to both relax you and stimulate your skin and facial muscles. A mask is targeted to your skin type (dry, oily, combination, sensitive, mature) and condition. During the facial, the esthetician should stay in the room and give you a scalp massage or some other service. If they leave the room to let you "relax," don't go back. An application of toner, serums, moisturizer, and sunscreen if it's daytime is given. The esthetician will tell you how she thinks you can take better care of your skin and recommend products. Some feel uncomfortable with this step because it involves product recommendations, but it is part of the esthetician's job. Facials vary in terms of pricing at day spas, but can go much higher at destination spas, resort, and hotel spas. Special masks and serums also make the price higher. It varies from person to person. Ideally, get a facial monthly because that's how long it takes the skin to regenerate. Try to have a facial at least four times a year, as the season changes. You may need it more frequently if you are trying to clear up a case of acne, especially at the beginning. Otherwise, once a month is plenty. But, you can overdo it, especially if you have sensitive skin. You might look at all the different facials offered at on a spa menu and feel confused about which one to pick. Do you want an anti-aging facial, an oxygen facial, a collagen facial or a deep-cleansing facial? Don't worry too much though. There are variations on the classic European facial. The names are usually determined by the different skin care lines. If you pick the wrong facial for your skin, a good esthetician will advise you in the treatment room and change the treatment to something suited for your skin. Variations on the classic European facial include the mini-facial (a 30-minute treatment that usually skips extractions). Use a line formulated for mature skin, with ingredients like vitamin C, and you have an anti-aging facial. It's an oxygen facial when a mist of pure oxygen is part of the treatment, or the products are formulated to deliver oxygen to the dermis. It's a collagen facial (also anti-aging) when special collagen sheets are placed on the skin. An acne facial will pay special attention to extractions. A photo facial is a separate light treatment to achieve specific results like boosting collagen or treating acne. What Is Microdermabrasion and Do You Need It?